We offer a power washing service and we can clean houses, drives, sidewalks, Decks, Fences. We use cleaners that are environmentally safe and that won’t hurt your plants. After we get them clean we can seal them so the weathering is slowed and they look great longer! An average 3 bed room single level home runs from $100.00 to $200.00 2 story homes run $200.00 to $400.00 Chemical washing is just a little more and better in many cases. We offer a Chemical house washing method as well. It is best to not use high pressure on a home as it can get water under siding and cause mold and rot. I can clean you roof, gutters , Siding all types without using a power washer. There are times that a power washer needs to be used but not as often as you would think. 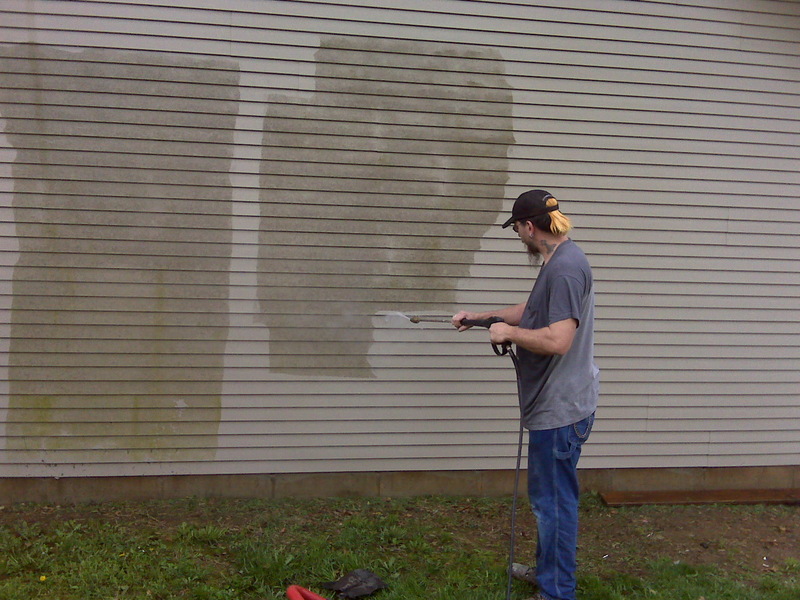 If you have a painted home a power washer is a good way to remove lose paint to prep. for a new coat of paint but if you are not going to repaint the home you do not want to get a power washer near it and chemical wash is the right choice. If you have mold on your roof I can get it off and it costs a fraction of the cost of replacement. 1/3 of roofs replaced yearly are replaced because of looks not cause they are leaking of damaged in any way. Don't throw your cash away cause your roof looks bad let us clean it and then change it when it needs it.